Treya Partners specializes in creating value for Private Equity firms by helping drive EBITDA improvements at their portfolio companies through both cross-portfolio and company-specific indirect procurement programs. Leveraged procurement within a Private Equity portfolio can generate significant improvements in EBITDA and portfolio valuation. 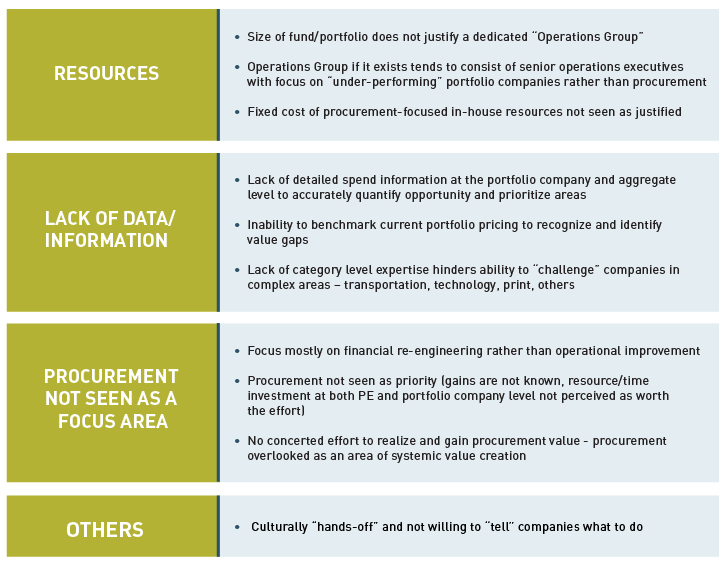 Challenges to capitalizing on this value lever include resource constraints, poor data availability, lack of category expertise, or lack of awareness of value-creation impact from procurement. As a result, a significant source of portfolio value enhancement is left untapped. Treya Partners provides a comprehensive set of services tailored to meet the needs of private equity firms and their portfolio companies. Programs can be implemented on a cross-portfolio or portfolio-company specific basis, or both. 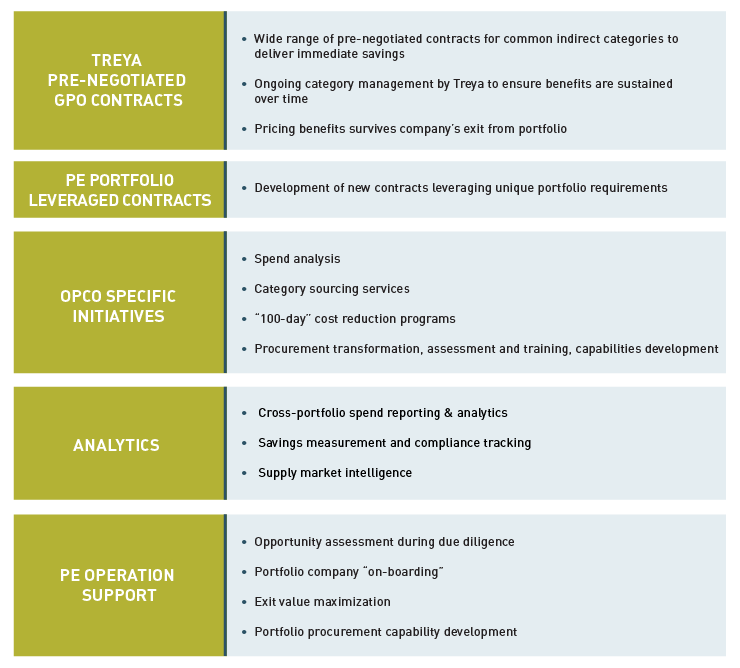 Treya's services support the entire PE operations lifecycle, from due diligence, OpCo on-boarding, creating and maintaining PE portfolio leveraged contracts and portfolio capability development through exit value maximization. We provide support during the due-diligence process to identify savings synergies which can be “baked into” the deal value. Post close we work closely with the Private Equity operations teams to align procurement initiatives in their “100 day” plans. For mature portfolio holdings we focus on quick-hit programs that deliver immediate results to enhance exit value.